In honor of the ravaged 1.5 million victims of the forgotten Armenian Genocide, which marks its 100th anniversary today, Shockya has an exclusive clip from the new drama ‘1915.’ The new video from the movie, titled ‘You Will Lose Everything,’ explores the tragedy that has been denied for an entire century. 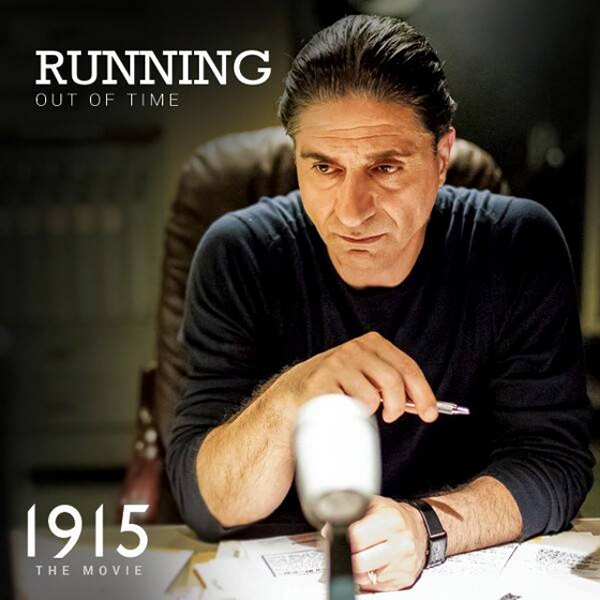 The film’s all-too-important message was brought to the screen by an Armenian cast and crew, including being written, directed and produced by firs-time filmakers, Garin Hovannisian and Alec Mouhibian. The movie stars Simon Abkarian, Angela Sarafyan, Sam Page, Nikolai Kinski, Debra Christofferson and Jim Piddock. ‘1915’ is now available on VOD and in theaters from it distributors, Bloodvine Media, in conjunction with Strongman and mTuckman Media. The filmmakers will join tens of thousands of Armenians to participate in a march for justice today in Los Angeles. The march will bring attention to the first genocide of modern history, which has been denied by the government of Turkey for an entire century. Exactly 100 years after the Armenian Genocide in Ottoman Turkey, a mysterious director, Simon (Simon Abkarian), is staging a play at the Los Angeles Theatre to honor the victims of that tragedy–a horrifying crime forgotten and denied for an entire century. But as protesters surround his theatre, and a series of strange accidents spread panic among his producer, Jeffrey (Jim Piddock), and actors Angela, James and Tony (Angela Sarafyan, Sam Page and Nikolai Kinski), it appears that the director’s mission is profoundly dangerous, and the ghosts of the past are everywhere. The film’s release is once again drawing attention to the fact that on April 24, 1915, hundreds of Armenian community leaders, clergymen, and intellectuals were rounded up and slaughtered in the night in Constantinople (now Istanbul), the capital of the Ottoman Turkish Empire. During the following summer, under cover of the first world war, Turkish soldiers escorted millions of unarmed civilian Armenians out of the towns and villages in which they had been living for thousands of years. The systematic deportation and slaughter of the Armenian people was accomplished. International news accounts, photographs and official government archives undeniably confirmed what then US Ambassador to Turkey, Henry Morgenthau, witnessed and called a “campaign of race extermination.” Legal scholar Raphael Lemkin coined the word “genocide” and applied it to the Armenian case. The government of Turkey began its century-long denial of the Armenian Genocide, but the survivors and their descendants across the world countered with a quest for recognition, restitution and justice. The Armenian Genocide remains one of the most important unresolved global socio-political issues in world history and it will become even more important in the months surrounding its 100th anniversary. ‘1915’ is about the danger of denial, not just of historical events, but also of the uncomfortable truths hidden in our own private pasts. For more information on ‘1915,’ visit the film’s official Website, as well as its Facebook and Twitter pages. Watch ‘You Will Lose Everything,’ Shockya’s exclusive clip from the drama, below.